Banana’s are one of the most popular fruits in our house. But some weeks, there is that lone leftover banana. Often it goes in the freezer for future baking use. 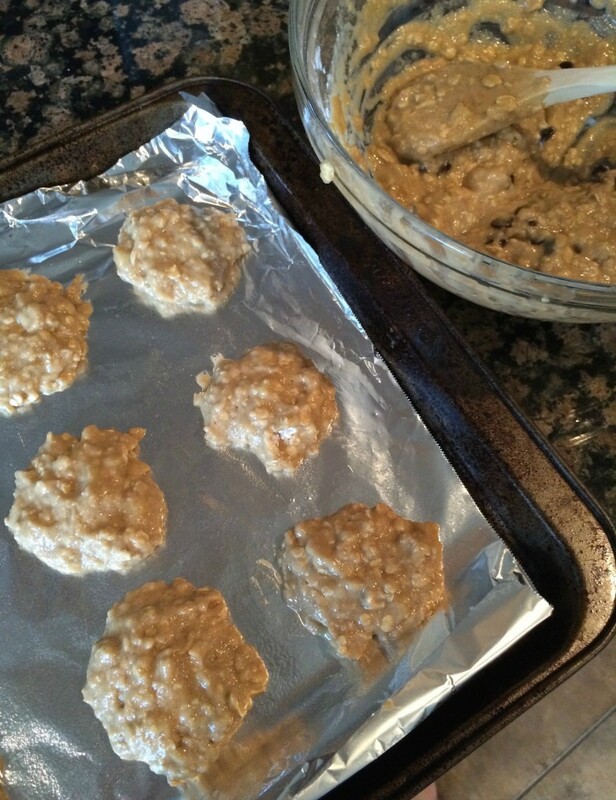 Other times, I make this yummy Banana Bread Cookies recipe that is simple and delicious. 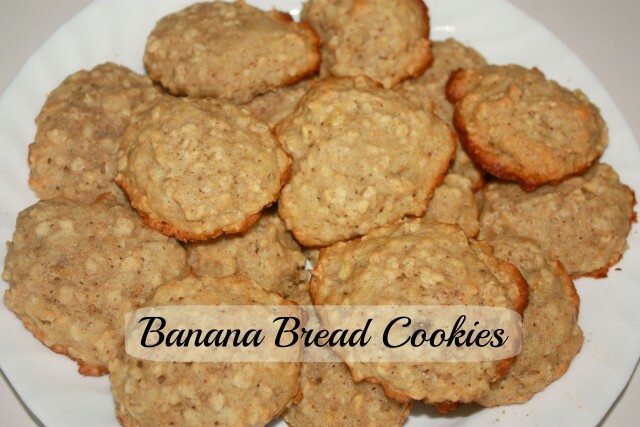 These are a hit with with both banana bread and cookie lovers alike! 1. 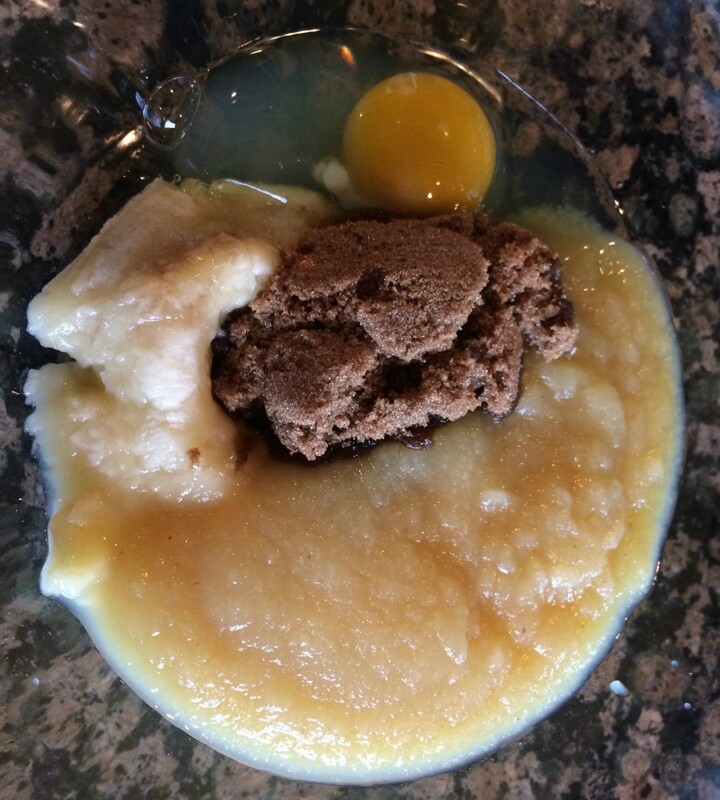 In a large bowl, add the mashed banana, apple sauce, butter, sugar and egg. Use an electric mixer on low until everything is combined. 2. In another bowl, combine the flour, oats, baking soda and cinnamon with a whisk or spatula. 3. Pour the wet mixture into the dry ingredients bowl. Keep stirring until everything is well combined. 4. Pre-heat your oven to 350 degrees. 5. On a greased cookie sheet, put down large spoonful of the batter. Leave room between each one because they will expand when they bake. 6. Put the cookies in the preheated over for about 12 minutes. When the cookies are ready, they will still be a bit soft to the touch and the bottoms will be slightly brown. 7. Let the cookies cool slightly before you eat them. And make sure to accompany them with a big glass of milk! Rejoice now, when you see that lone leftover ripe banana because then you have a reason to make these delicious Banana Bread Cookies. For more Banana Recipes, see this Pinterest Board. I love banana bread so I will definitely love these cookies. If you love banana bread then you will love these! I’m going to try this. Looks tempting! Oatmeal cookies are my personal favorite. Pinned this to my Cookies and Candy board. I will definitely try these with the next bananas we buy, maybe for the Grands over the summer. Thanks! My wife makes banana bread all the time, but never thought of putting it in cookie form! Don’t even need to slice it! Oh wow, they look absolutely lush! Nice receipe , maybe I will try mAking them.